Do you remember the exhilarating moment when you were reading a letter from the university with the decision of the admission committee? Reading an answer not even suspecting whether you were accepted or not was probably breathtaking and unforgettable for you! For me definitely, it was both when I was enrolled and when I failed. For some people it is vital to enter the university the year they apply, otherwise, they commit a suicide or fall into depression. For others being enrolled at the university is the one and only goal, they do not put the educational interests in the forefront. In other words, most of such students do not worry about further years in the university and the opportunities they could take; they are not interested in learning new things, investigating research or becoming more educated. They just need a “magic” piece of paper that is called a diploma which as they think can guarantee them a good job! Unfortunately, such conviction leads to bribery, corruption in the higher education organizations. Students are not the only participants of corruption that takes place in higher education, but they are usually the ones that are judged only after teachers and administration of the university, in spite of the fact that sometimes they turn to be corruption initiators themselves. It should be noted that in reality, namely, the students are the ones who lose the most from the corruption both financially and academically (professionally). Students who bribe do not care a lot about the specialty they are going to study and sometimes even do not know what their major is because their future diploma is their priority goal. So they bribe from the first days. They give money for having better grades, they give money for having a better transcript, and they give money even for their thesis to be written! But why do students act so? It seems that they mis-prioritize or they still think that their future depends on their diploma, yes, on that very “magic” piece of paper. Unfortunately or fortunately, times, when a diploma was highly important, has gone, and now people are given good job places, not due to their diplomas, but due to their knowledge, professionalism and productive work, and it is high time to understand this. Luckily, there is another part of really smart students, whose aim is not just entering the university, but more – getting a good education, mastering necessary skills for a future career, investigating a research on the problems they are seriously interested in, and obtaining a clear vision of their chosen profession. The last group of young people gives a great hope in eradicating corruption in higher education organizations, and in a bright future! What is your opinion on this issue? 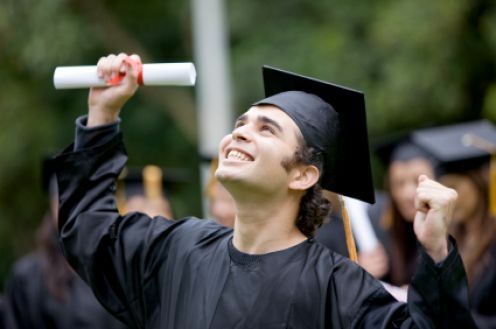 What is more important for university students: knowledge or a diploma? And why? In my opinion, this is the topic that many of us can elaborate on. I personally have numerous encounters with the cases of corruption. However, while reading I was not sure whether your statements were based on literature or your own experience. I would advise to add information from media or any other literature to convince your reader. You might also want to propose solutions using experience of other countries or successful universities. Otherwise, you have raised an important issue that needs close attentions and consideration. I think it is important to start speaking about such topic to raise people’s awareness. These days, corruption or bribe are quite popular things that some of us can associate with Kazakhstani higher education. I am saying that because once it happened to me. I tried to enter one university in Astana, but university admissions refused. My exam results were not satisfactory for them. However, when I saw that my group mates got a scholarship there, my first question was “How?”. Because I knew that our exam results were pretty the same. Their answer was a big surprise for me: they just paid money after passing the exam. It was the first time I faced with corruption. Before that I have never thought about corruption in our country. I have never thought that I can face with that terrible thing. Actually, there is no concrete answer for your question. I guess it depends on the student and place where he or she tries to enter. Nowadays even teachers at universities get used to this. As some of them shamelessly force students to buy their written thesis otherwise students are doomed to failure. Another category of students who were disappointed with studying or given knowledge and they believe it is a waste of time. These students usually work and prefer distance learning which means for them just taking a diploma.That is why I think it is long way to get rid of corruption in the educational sphere. To change peoples` views is not so easy task. Personally, I think students who care will definitely strive for taking knowledge. Dear, dinara2018! You did a great job to raise this question. In my opinion, it is an enormous problem in all spheres of our country, including education. I have encountered with the consequences of the described cases by you. For example, I met so called “teachers”, who did not know basic grammar of the language. It is a pity! What can they teach for next generation? How do we increase the level o education? Honestly, I have never faced with situations of the corruption, lucklily. However, I have known numerious actual stories how people buy a diploma or pass exams or get ready thesis. It is so sad to know that there are several speacialists, who are likely to work, to teach, to build, to manage people’s faith! Let’s start with ourselves! Be frank with yourself! Nice job raising a touchy subject. I would agree with the previous commentator that this piece could be strengthened either by shifting it more academic (support with research/literature/evidence) or personal (support with more specific details tied to personal experience). As written, the post falls somewhere between the two. Nevertheless, it was useful and interesting enough to attract your peers’ comments, so good job. Finally: Please cite your images. In my opinion your post, dear Dinara, covers two broad and worthwhile issues and they are closely connected with each other. First, the issue of corruption. It is the problem of the whole world. I totally agree that by corrupting students are losing not only money, but also education. However, generating graduates without quality education is the most hazardous thing for the whole society, I deem. For example, students, who were engaged in corrupt practices and became doctors, policemen, policy makers etc. they might kill people, their clienteles, patrons, and, finally, themselves because of the beneath quality knowledge. However, I cannot agree with the point that students are the main initiators of corruption in education that was stated in the post. From my own experience, I was a victim of those teachers for several times who had demanded money for good grades despite of my hard work and achievements. Second issue that was raised in the post is how students value their times at the educational settings. It is a vitally important issue because most students do not understand what valuable skills they can get from the university. As for me, I always try to get as much as I can from my professors, from workshops that are held at the university, from various clubs (not all of them are successful), because nobody will give me then those knowledge or nobody will provide me with those opportunities to attend free clubs and workshops. So, thank you for raising such burning issues in education! Dinara, you have raised one of the touchy topics. Corruption is one the significant issues our government is fighting against. Unfortunately, it is difficult to say that their action is successful, since people claim that they face corruption everywhere, especially in education system which is close to us. You asked what was important for university student: knowledge or diploma. My answer is knowledge, of course. How can one work in the sphere they choose, if they don’t have sufficient knowledge? What benefit could they bring? I cannot imagine a teacher who teaches children without any methodology, which can be perceived by studying. If his/her diploma is bought, it might have an aftermath that is not so good for schoolchildren’s future.